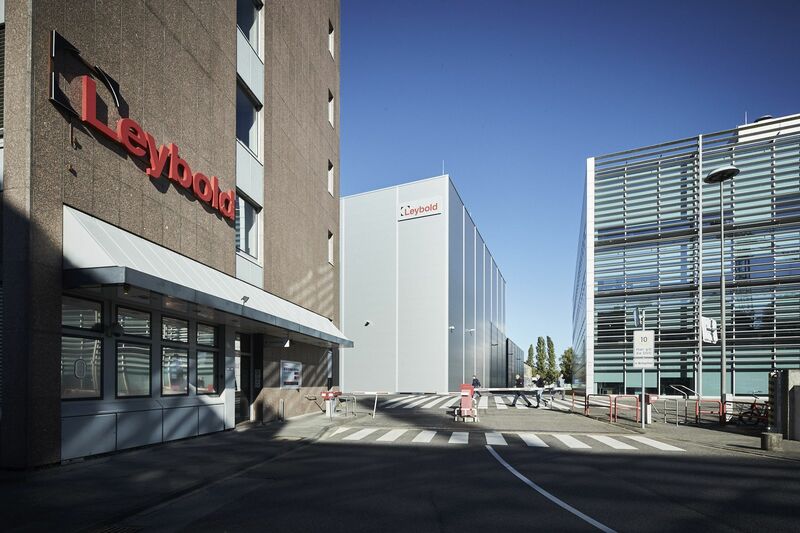 With around 3,500 products sold in 15 different countries, the Leybold Group is among the experts for state-of-the-art vacuum pumps in the B2B sector. These vacuum pumps are used, for example, in the production of cars, in communication technology and in space simulation. Whether standardised or completely customised vacuum solutions and services, it's never a problem for the Cologne company. Its new website has been online since September 2016 under the domain www.leyboldproducts.de. Leybold's previous in-house programming had reached its limits, and the shop was also no longer up-to-date. For example, there was no optimised page for mobile devices. After comparing a number of shop system providers, they eventually opted for Shopware's Enterprise Edition. The reasons for this included good backend usability and a high degree of scalability. "For our B2B shop, we were deliberately searching for a solution that could stand comparison with the developments in the B2C sector: fast, flexible and attractive," explains Johannes Galias, the eCommerce manager at Leybold GmbH. The responsible managers use the shop to offer individual content to many countries across the world, including country-specific purchasing worlds and promotional campaigns. The products in these subshops also differ. After localisation, contact forms are modified and downloads on product detail pages, including individual downloads, remain completely hidden in the various subshops. A pump-finder has also been integrated. 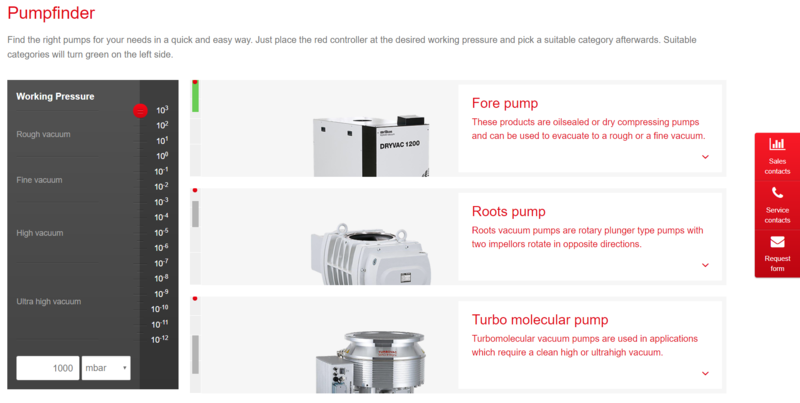 Here, customers have the opportunity to find the right pump quickly and precisely after entering properties. Another technical highlight is the integration of a tax calculation for the United States by using a ZIP code. To do so, Leybold GmbH was supported by the Shopware partner agency, Electronic Minds. "Collaboration between the companies involved went very well," says Galias. The development period lasted a total of nine months. The Leybold shop has wide range of available products. There are a total of eleven product categories, one category for spare parts, eight for used devices and a "Services" category. The complete expertise is also transferred to the online shop and customers do not miss out on any of Leybold GmbH's USPs. So that customers can also find all the products, even if there has possibly been a spelling mistake, Shopware's Smart Search Premium Plugin was integrated. However, customers do not see prices until they have successfully logged in, as is frequently the case in B2B. But even then, there are individual articles that are only available on request and are also provided with an appropriate button. At the moment, the online shop does not yet communicate using an ERP system. However, a connection is planned in the near future. While the shopping cart value has remained constant, the growth in turnover has continued to increase. A particularly positive difference can be reported in the mobile communications area, since there was previously no solution for mobile devices. In future, a number of expansions for greater automation and process optimisation are planned.